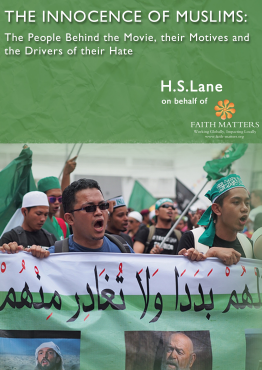 This briefing paper is another in the series of publications that fall into the Islamophobia and Anti-Muslim prejudice themes which Faith Matters is developing. This briefing paper looks at the individuals who were behind the recent YouTube production of the ‘Innocence of Muslims’ trailer, their motivations and their connections. The briefing paper looks at the network of individuals who are involved in anti-Islamic and anti-Muslim activities and let us not forget that the Innocence of Muslims YouTube publication lead to demonstrations that ended in the deaths of individuals in other countries. This paper looks at Nakoula Basseley Nakoula, Steven Klein, Joseph Nasralla Abdelmasih and Morris Sadek. All are linked through their virulent anti-Islam beliefs, but all are very different characters. We at Faith Matters believe that it is important to identify these men. We hope that this paper shines a light on those who thought that creating divisions was a way of shaping future Muslim and Christian relations. Not only were their actions deeply morally offensive and factually wrong, their desire to create tensions should be a wake-up call to all those who believe in co-existence and mutual understanding. Unless people of good will do not stand up and shape our future relationships, those who seek division are not far behind.